Dr. Amanda Wong-Powell MBChB MRCS MBCAM, the Founder and Medical Director of W1 Wellness - a modern lifestyle aesthetic concept combining aesthetics and wellness. She is a member of the British College of Aesthetic Medicine (BCAM), British Association of Body Sculpting (BABS), European College of Aesthetic Medicine and Surgery (ECAMS) and the Royal College of Surgeons of Edinburgh (RCSEd). With a predominately surgical background, Dr Wong-Powell began practicing aesthetic medicine over 10 years ago. She is a qualified VASER Liposuction surgeon, having been trained in basic and advanced techniques internationally and is one of the only women surgeons performing this treatment in the country. She is also one of the few practitioners providing fat grafting for face and body. 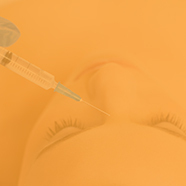 Dr Wong-Powell is experienced in advanced anti-ageing injectable treatments. She advocates natural-looking results and works toward enhancing the contours of the face with advanced techniques and products. She regularly speaks at industry conferences and publishes articles in peer-reviewed aesthetic journals. As a perfectionist, she believes in ensuring patient safety, achieving natural results and excellent communication skills to attain patient satisfaction at the highest level. She is now concentrating on the business side of her entrepeneuring aesthetic and cometic clinics in London, Marbella, Milan, Rome and Prague leaving the clinical practice to her group of internationally renowned doctors and surgeons.